Many composers who mostly write for samples (and therefore might not have much session experience) are daunted by their first scoring session and are not sure how to best approach the session in terms of preparation. Hopefully, by the end of this blog, you’ll have more of an idea of what things to watch out for and the best way in which you can prepare for a smooth recording session. I cannot even begin to stress how important a cue sheet is to everyone at a recording session. It’s the document that will aid you from going into overtime and will be the lifeline that you might need at the end of a trying day. Above is what a standard cue sheet looks like for a small TV recording session. You’ll see that it has all of the information on there that you need to keep yourself out of trouble. BOXES TO STATE AT WHICH POINT IN THE PROCESS YOU HAVE REACHED WHILST YOU ARE WORKING. FOR EXAMPLE, ALL BOXES SHOULD BE GREEN AND ‘APPROVED’ BEFORE YOU REACHED THE ‘PRINTED’ BOX. BOXES FOR MIDI AND STEMS CREATION. When you have completed each task: composing, copying, orchestration etc, you need to mark them ‘green’ and ‘approved’ immediately. This will help you to keep track of where you are during the process before the session has even taken place. The MIDI always needs to be bounced for the engineer to prepare the Pro Tools session at the studio (usually the night before the session), using all of the time signature and tempo information but deleting the actual MIDI data because that’s irrelevant at the actual session. The stems also need to be bounced, usually in groups like strings, brass, percussion etc (or whatever forces you’re using) so that the engineer can feed the players the ‘prelays’ (basically anything that is staying in the mix and not being replaced by live players like synths etc) through their headphones along with the click track. It’s always best to start the session off with a medium length cue and with most, if not all of the orchestra playing so that the engineer can set the levels and double check if there are faulty mics. I’ve then found that sometimes it can be beneficial to get through a few of the longer cues before moving onto the shorter cues which can take the pressure off nearer to the end of the session. One thing to watch out for if you have a brass section is making sure that their lips don’t get tired. It may sound a bit childish, but if the brass are blowing on huge actions cues at fortissimo repeatedly, they’ll eventually get so tired that fortissimo will just become forte or less. For this reason, it’s best to make sure that you alternate between easier and harder cues. Sometimes it can be best to hire a producer for bigger sessions so that you can leave them to keep track of timings and leave the orchestrator to focus solely on the music, listen out for intonation issues, the general performance and anything that they might want to adjust after communicating with the composer. Once, at an orchestral session at Abbey Road, the picture in the cue was starting too early and had been misaligned by the engineer in the Pro Tools session when importing it. The composer noticed whilst he was conducting and they used the TC in and out time from the cue sheet to check at which point the picture should actually start. It was promptly fixed within 30 seconds and the panic was over. However, had the TC not been included in the cue sheet, there could’ve been a big panic about what was going on and if the music itself was actually incorrect. This is why it’s important to include this sort of information. In fact, my rule of thumb is that the more information you can include on the cue sheet the better. It’ll help you when you need it most. I could write for days about sessions, but hopefully this gives you more of an idea of what to look out for/keep track of at the future sessions. If you’re one of those composers who hasn’t experienced their first live session yet, I really hope this is useful and helps you to get through it smoothly! #6 WHAT DOES A COPYIST DO? ‘Copying’ is probably one of the most confused and misunderstood jobs in our field of work, so what is this mysterious craft and how does it work? In its most simplest form, the job of the copyist is to make the music as readable as possible for the session musicians who will be sight reading it. I’m always blown away when I hear London’s finest musicians playing music perfectly on the first take - music that they’ve never heard before in their lives. WHY IS IT CALLED ‘COPYING’? This term is taken from the olden days when copyists would literally copy from the conductor score and generate parts by hand writing the ‘dots’. 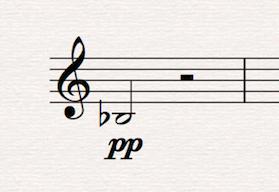 Thankfully, we now have notation programs like Sibelius, Dorico and Finale to generate parts from. 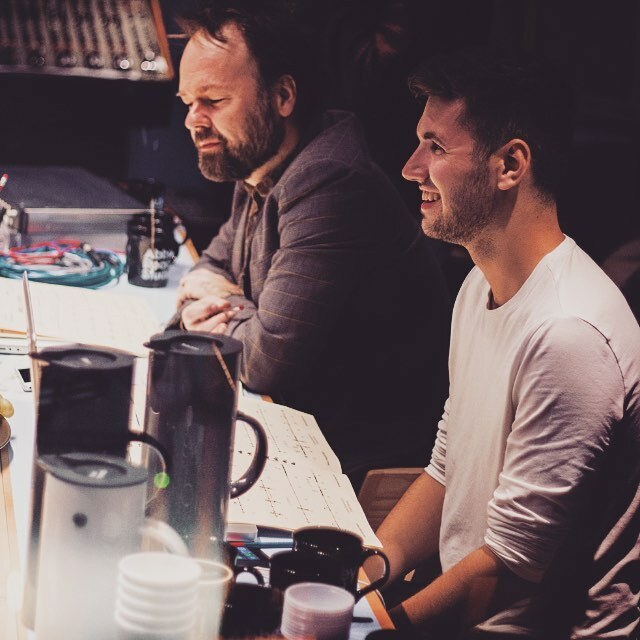 The parts are what we call the music that the players read from, and the score is what the conductor reads from, and those in the booth like the composer, orchestrator and engineer etc. As part of my bundle service, when I have finished orchestrating the score, I’ll move onto the copying phase of the job. This enables me to go through the parts through with a fine tooth-comb, checking dynamics that may have been missed in the full score and anything else that might look awry. If I’m working from another orchestrator’s score I will then apply my own custom house style to make it look easy and impressive on the eye (thus aiding the musician and making it more enjoyable to look at). Generally though, if I am doing the orchestration and copying, I will work directly into a Sibelius template which has all of my engraving and house style options set up. This saves A LOT of time and the client’s money. What I’m generally aiming for is a clean look where there is some space both above and below each system. A system basically being a ‘line’ of music. The space is basically so that the player can scribble any adjustments around the music such as dynamic changes or a change of sound such as sul tasto or con sordino in the string section. Above is a sample viola part from LEGO: The Incredibles which I had the pleasure of orchestrating, copying and music prepping (a posh term for the collating and printing of all of the scores and parts). You’ll see that I’ve got bar numbers on every bar so that the player knows exactly where they are at all times, and if the conductor says to go from bar 28, they know exactly where that is. Some copyists put them at the start of every system but I’ve spoken to session players directly and they say they prefer them on every bar. You’ll see that I’ve written ‘lazily’ in English and ‘espressivo’ in Italian. You might be wondering why I’ve mixed between two languages and that is because I go with the term that will be most easily understood. I have no idea what ‘lazily’ is in Italian, but ‘espressivo’ is a widely used term in Italian, so it’s best to use it in that language (though it would of course be okay to use it in English too - it’s just preference). I’m not that bothered about using Italian-only terms and nobody has ever questioned it as a session. You ideally want to stick to the phrasing of the music, though that’s not always possible with film music if it’s underscore-y type stuff with music that doesn’t have set 4 bar phrases. I also try my best to keep hairpins on the same system so that they aren’t split, and with a hairpin any longer than 4 bars I use ‘cresc’ or ‘dim’ text to avoid hairpins from being split across systems. Working as a copyist is one of those things that sounds easy, but requires a high degree of knowledge of what works and what doesn’t at recording sessions. I’m going to quote something from the Spitfire Audio website because I think that this is something incredibly important, and it highlights just how important a good copyist is. You can scrimp on many things, but if you think copying is glorified photocopying, you’re mistaken. The single most important thing you need in order to record some music is a pad of music to be on the stands, with the pages in the right order, the cues in the right order. If you don’t have this, you don’t have anything. To add to that quote. There is no point having amazing compositions and fantastic orchestrations, only to be let down at the last minute by an inexperienced and bad copyist. Don’t let it happen. #4 HOW IMPORTANT IS SESSION EXPERIENCE FOR AN ORCHESTRATOR? This is a question that is vastly overlooked when composers are looking to work with an orchestrator, and one which must not be underestimated. There are some orchestrators working out who don’t have much session experience and this can be very detrimental to a session if you’re not careful. HOW DO YOU GET SESSION EXPERIENCE? I went to one of John Lunn's sessions for Downton Abbey when I was first starting out around 2013 and doing this was probably one of the most valuable free lessons I’ve ever received. I learned from the best people in the business and all I had to do was watch, observe and absorb. Everything was so relaxed and everyone was so calm. So, how did they achieve that? Well, they got the right people on the job, and they had all worked with each other for years, totally streamlining the process, and reinforcing the fact that it’s so important to form a team of people that you work with on every single project. The key is just to ask. That’s how simple it is. Ask to attend a session. The answer will either be yes or no. WHAT CAN GO WRONG AT A SESSION? Well, all manner of things in all honesty. I was once at a big session at Abbey Road Studio 1 as the orchestrator, and all of the Pro Tools files had been corrupted somehow between the time the assistant engineer had prepped the files the night before, and when he arrived the next day in the morning. That meant that he was literally prepping the Pro Tools sessions as he went along just as each cue was being recorded. I’ve never seen anybody sweat so much in my life. Inexperienced orchestrators and copyists can really screw things up if they’re not careful and that’s why it’s so important to be organised. I always use a cue sheet for this reason. Check, check and check again. Quite simply. WHY IS SESSION EXPERIENCE SO VALUABLE? In my opinion, it’s very important that the composer feels like they have another pair of eyes at the session, and someone who knows the score almost as well as they do (and in some cases better if they’re not that confident at reading music). If you can preempt questions from the musicians, you can write little nuggets of information on the score/part to avoid questions from happening. When I was first starting out, I remember hearing similar questions pop up from the players - If you know what they will ask, you can stop that from happening by adding something text-related into the part for the player to read, thus eliminating a question being asked and wasting session time. In addition to that, knowing how to pace the session is extremely valuable. At the end of the day, if you pace it poorly, you could waste thousands of pounds going into overtime. It will make you extremely unpopular with everyone involved and you’ll look like an amateur. Thankfully, it’s never happened to me, but I know it does happen and it can really taint the whole experience. Be savvy, be conscious of time and be knowledgable. Often, when working with a composer (especially one who hasn't had much experience working in a studio environment with session musicians), I'm asked what the deliverables are to make the process as streamlined as possible. The following may not seem particularly important, but it is definitely something to get right as early as possible in the process to avoid any confusion for either yourself or the orchestrator. Undoubtedly, one of the most important things a composer can do at the start of the process when working on a television series or feature film etc is to get their template set up in orchestral order. Take note of the following and I will explain my reasoning shortly. I prefer sessions to be laid out this way because, as an orchestrator, I am required to sort through a seriously large amount of tracks and when I copy the quantized MIDI from Sibelius into my template Sibelius file (the file where all of my custom engraved fonts and instruments are laid out), I can almost copy line by line from top to bottom, rather than having to keeping scrolling up and down and then copying into the template file. For example, if the flute part is at the top of the session and then the oboe is down at the bottom where the double basses are, it means that I'm scrolling constantly trying to find where things are which wastes time. I’m happy to do that myself and this certainly isn't a complaint, but it'll cost the client more money and mean that the time I spend sorting through means I inevitably spend less time actually orchestrating. It is really important to remove any variables and potential things that could be confusing which might slow an orchestrator down. For this reason, it's far easier to set up your DAW session in orchestral order from the start. WHAT FILES SHOULD YOU SEND TO AN ORCHESTRATOR? I actually prefer that the composer sends me their whole DAW session if they're working within Cubase, which is the DAW I use to quantize MIDI. It means that there can be no errors with the MIDI and usually all of the tracks have been coloured and are easy on the eye rather than an imported session of pure grey MIDI. I would recommend making a duplicate of all of your DAW sessions and adding '_ORCH' at the end. This ensures that your original DAW files are always untouched. If I end up re-barring anything in my Cubase session, I tell the composer about it so that they can change it in their original DAW session for later reference. Sometimes MIDI can bare very little relation to the actual audio that you're hearing and sometimes it can be wise for the composer to write a quick text document describing what particular sound they might be aiming for. This can be useful when the audio isn't exactly what they'd like to be recorded live, and the MIDI is no use to the orchestrator either. If you didn't write a text note here, the orchestrator would use their initiative and do what they think is best for the context, or they would call/email the composer and potentially waste their time or distract them from something important. Often, if something in particular keeps appearing in a score, it is wise for the composer to inform the orchestrator that this is going to keep occurring. For example, on one film I worked on, the composer mentioned that whenever a certain theme was used, the minim in the second half of the third bar was meant to be two crotchets. The reason the composer had just played a minim instead of two crotchets was because of the slow attack of the string samples. Hopefully this has cleared a dark cloud of confusion as to what you need to provide when working with an orchestrator! #1 HOW AND WHY HAS THE TV/FILM ORCHESTRATION PROCESS CHANGED? I decided that it would be a good idea to to start a blog and answer some meaningful questions that seem to keep popping up in various different conversations. My aim for the blog is to keep it chatty and informal but also useful, and something that we might be able to chat about as a community of composers and orchestrators. HOW AND WHY HAS THE TV/FILM ORCHESTRATION PROCESS CHANGED? To keep things brief, here’s roughly how the process used to be back in the golden age, and even up until the very early 1990’s (before Sibelius was even launched). The composer has a spotting session with the director/producers. After the spotting session, the composer slaves away at the piano (generally) to find melodic motifs and carefully match the music to the visuals. The composer would write roughly six staves of a sketch as a rough outline/guide of the melodic and harmonic content. The orchestrator would then take this sketch and hand write the score into a full orchestral work (assuming the score was orchestral), assigning various melodies to various different instruments and making the most of some amazing instrument combinations and colours. There are obviously many other skills that an orchestrator must have, but I’m keeping this brief. They would then pass the full score to the copyist who would then physically copy (by hand) from the score into all of the different orchestral parts so that each player had their own part (bar the strings who each share a part because they sit in pairs. We refer to them as ‘desks’). The above is very brief because I really want to keep these blogs short and sweet, but let’s see how this differs with the process today and why that might be. In my opinion, the biggest reason that the above process cannot happen anymore, and probably never will again is as follows. Myself & my friend/mixing engineer/producer Rich Aitken in Abbey Road Studio 3 in 2017. Mockups are now the very core of many tv/film/games scores since the composer can very accurately mock-up how the finished score will sound. Millions of dollars are pumped into Hollywood movies and there’s an enormous amount of money at stake - even the music budget alone can be in the region of $1 million and it’s certainly not uncommon for that to be higher. In some cases, composers in the past have take a fee higher than $1 million for themselves but I’m not sure if that’s the case nowadays. The executives and top bods in Hollywood have to be 100% sure that the composer is on the right track with their vision and the only way they can be sure that that is happening is through the mockup process. Once the composer has had each cue signed off, they will be sent to the orchestrator to clean up the MIDI (this gets the MIDI in a readable state before importing into a notation software program, otherwise it’s very confusing to read), and then start adding dynamics and articulations etc. I work with a lot of different composers and each one has a different view on what they’d like me to do with their work - some composers are happy for me to change voicings around, add new counter melodies and move parts from one instrument to another, but I ALWAYS consult the composer about this before going ahead and making the change. If you don’t, they’ll get to the studio and wonder why their work sounds different. There’s also a good chance that the executives will know that the music has changed. They won’t know what has changed or why it sounds different, but they’ll know it sounds different and that isn’t what they signed off on. WHAT IS ORCHESTRATION IN THE WORLD OF TV/FILM/GAMES? Many people are confused about what orchestration really is these days, and it’s extremely rare for a composer to hand an orchestrator a small sketch and ask them to orchestrate it. In fact, I’ve never had that happen to me, and I know of no other orchestrator that has come across that scenario within the last decade. Everything is laid out as it should be in the mockup, with complete dynamic, harmonic and melodic structure. The modern day orchestrator must now take a mockup and make it work ‘on paper’, so to speak. Many composers are writing quickly and are not thinking about whether a low solo flute line will be heard in a rich tutti passage, and they’re certainly not thinking about what instruments can and can’t play loudly in certain registers. This is where the orchestrator earns their money. It is our job as orchestrators to figure out potential complications and anything that might slow down a recording session. Let’s take the picture below as an example. The oboe should never be written at a soft dynamic on it’s lowest fifth range of the instrument. That is from the Bb just below middle C to F on the treble clef stave. The oboe is particularly hard to control at its extreme ranges and so when they finger a low Bb on the instrument, it’s basically impossible for the note to sound gently. Even if the composer has played this into their DAW, it is your job to see what else might work within the context of the cue otherwise the oboe player will raise their hand and minutes might go by trying to sort the problem out. You need to avoid these cases like the plague. One of the things I most often see is composers writing way too many notes for the ensemble size that they’re later going to be recording with. This happens mostly because they want the mockup to sound thicker and better for the clients and they’re usually concentrating hard on the picture instead of thinking about what is playable in the real world. With that in mind, composers often end up layering patch after patch of sul tasto strings, flautando strings and harmonics alongside a big strings ensemble patch. It is then my job to go through and decipher which notes are actually necessary to fit in harmonically with the cue, and which articulations sound best in that particular context. That is not a complaint about composers, but just an explanation that this is what is necessary in modern day orchestration. To cover this whole topic in-depth would require several blogs, but I will no doubt touch upon the role of a modern day orchestrator in future. Hopefully this is a small insight into how an orchestrator tackles a composer’s work and how the process has changed.